Development and construction notes about the FET/500 series of limiters for the 500 series and compatible racks. Please do not copy and repost these photographs or link directly to them from my server. Documents are fully searchable. Use CTRL+F (Command+F on Mac) to find selected components between schematic, PCB and BOM. 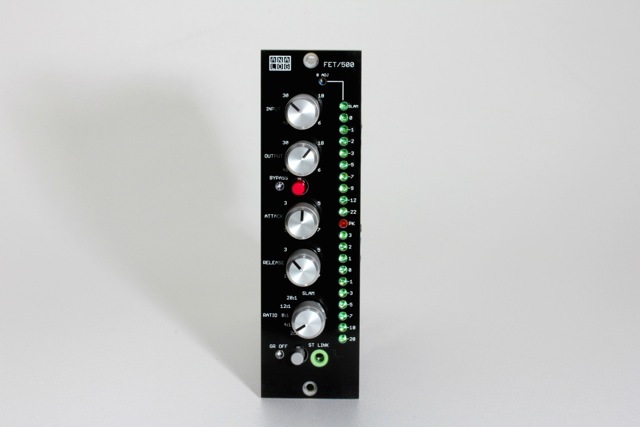 The FET/500 series of limiters were developed in a period between 2008 and 2014 with encouragement from Ed Anderson and later collaboration with Mike and Gabe at Hairball Audio. Early PCB versions were made on a DOS program before gravitating to Eagle running on an old PowerBook G4 laptop. Major work was done out of hotel rooms on that mobile system accounting for the suburb names given to each PCB. Even before that extended development time it was already clear that this was not an original idea; other FET-based 500 series limiters were offered in the intervening years - some more closely related to the original 2U rack mounted version than others. All were predated by the Purple Audio Action. This series retains the complete original transformer-coupled discrete audio path of the A, D or F revisions while using the precision Gain Reduction Control Amplifier and Meter Driver circuit from later revisions. 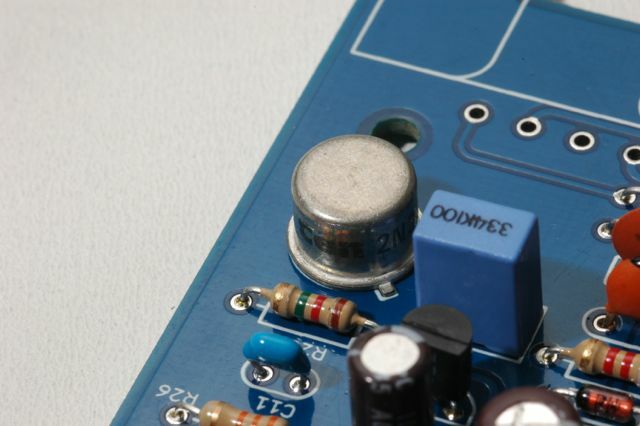 No op amps - discrete or otherwise - are employed in the audio path, nor any amplifier circuits borrowed from other famous makes. The voltage between the positive and negative 500 rack rails is used for the nominal 30 Volt requirements of the audio circuit - no DC to DC converters are used to power the audio path. 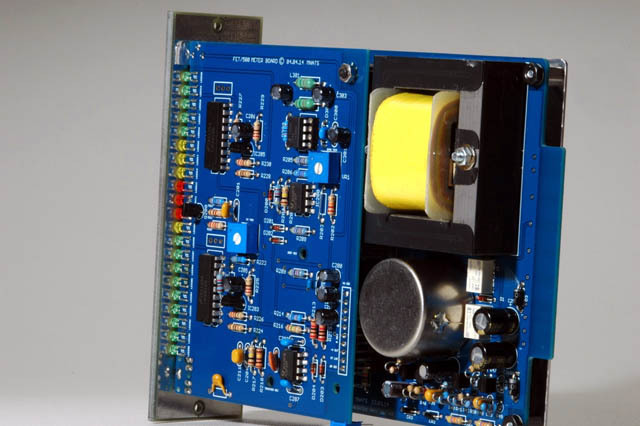 The input and output transformers provide the required galvanic isolation to allow the full rack voltage potential to be used in this way. A charge pump circuit provides the negative bias needed for the FET Gain Reduction circuit. A completely new non-mechanical metering system was designed to display both output and gain reduction simultaneously and without compromising distortion levels. The averaging LED output meter derives its signal from the output of the signal line amplifier before the transformer preserving galvanic isolation of the output. A full-time peak LED provides useful information about signal levels in this digital age. The Gain Reduction Meter isn't hampered by VU ballistics of a mechanical meter so changes to attack and release are clearly visible. For the first time it is possible to get a good visual indication of how much compression is actually occurring within the circuit. The top LED of the GR Meter is calibrated to show when the unit is in SLAM mode. In this mode, the GR Meter does not operate just as in the original unit. In addition to the usual gain reduction off is a bypass switch that takes the unit completely out of circuit. Lastly, we've added a gentle and useful 2:1 ratio seen on the AE and some DIY versions. 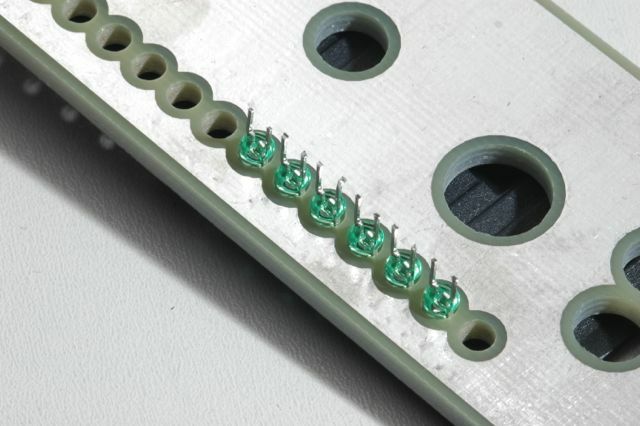 All components fit on two printed circuit boards that connect together with a 10 contact pin and header. Both boards are required for correct operation and cannot be used independently. 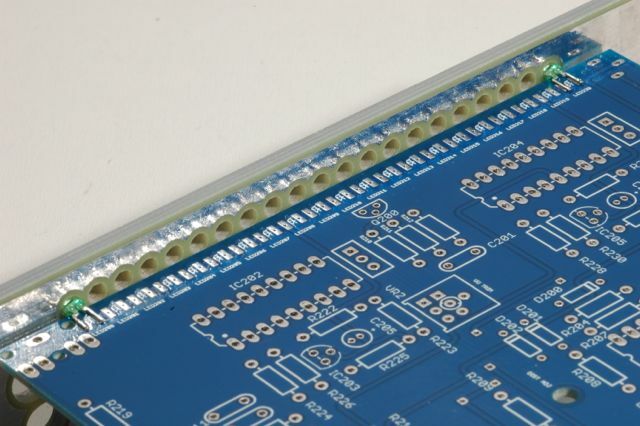 Due to the complexity and relatively tight layout of the printed circuit boards of this design it is not recommended for beginners or those who cannot work carefully and methodically. I have come to understand that warnings like this one are frequently ignored. As no dangerous voltages are involved I'll do my best to help explain some of the details in building this limiter properly but keep in mind that as it is not a beginner's project I will not outline every step, just give some pointers, explain some tricky bits and show some helpful hints. The design has been tested through no less than five prototype iterations and countless hours of refinement. Don't blame the PCB design if you choose to ignore the previous warning and your limiter does not work. Any failure is the result of faulty components or poor building standards, not a fault of the inherent design. 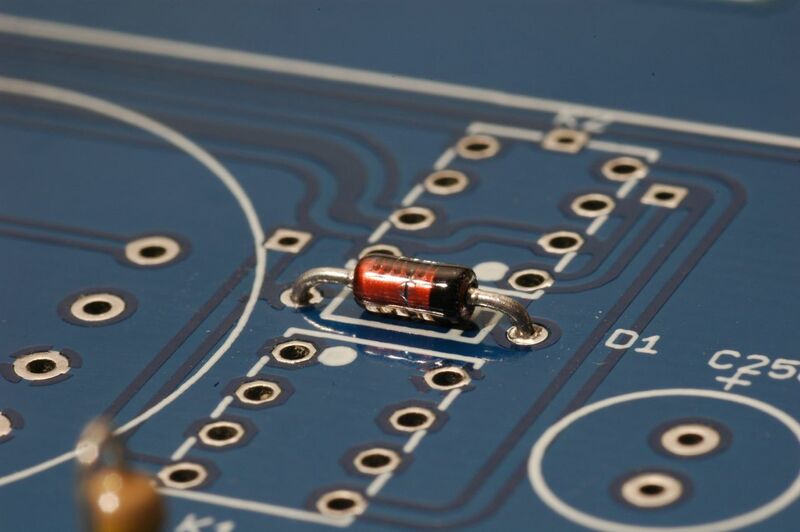 Test each of your components to the best of your ability before soldering them onto the board, work carefully and methodically and you'll be rewarded at the end with a miniature version of this much-loved audio device. Since this project involves a lot of soldering I suggest you buy a decent soldering iron that can reach 400 degrees C or 750 degrees F and 60/40 rosin core solder. 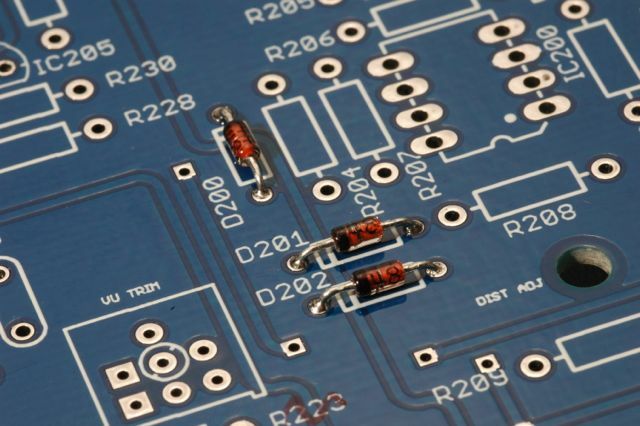 Unless it is impossible to source anything else, don't use lead-free solder. 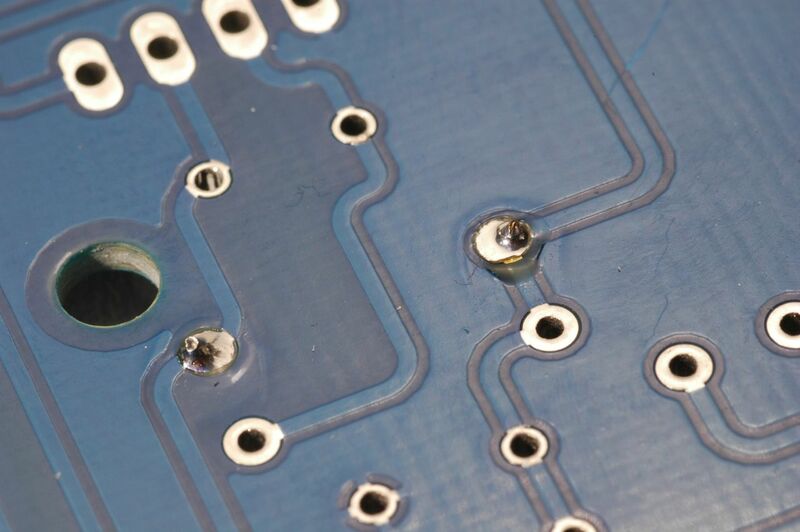 A decade of experience in electronic repair has shown that an alarming number of faults are the direct result of the failure of lead-free solder joints due to mechanical and/or thermal stress. We're talking about the inability of lead-free solders to withstand repeated thermal and/or mechanical stress. Even the cyclical click of a relay can cause faulty lead-free joints within a matter of years. A very fine soldering iron tip isn't necessary or desirable; very fine tips limit the ability to transfer heat to the joint. A chisel tip with a flat area of 1.6mm is close to ideal for this build and many other soldering applications. 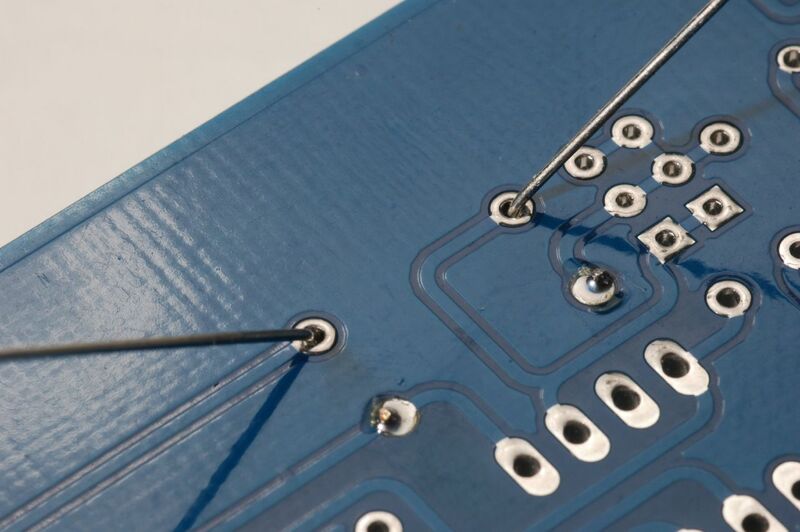 A tip temperature of 400 degrees C will ensure that you can complete the solder joint quickly. Lead-free users may require even higher temperatures. Lower temperatures might seem safer but you'll risk overheating the component as well as the PCB if you have to keep the iron on the joint for an extended period. Work quickly with a hot iron and you'll soon see how easily your soldering goes. I'd also suggest you buy or make a lead forming tool. 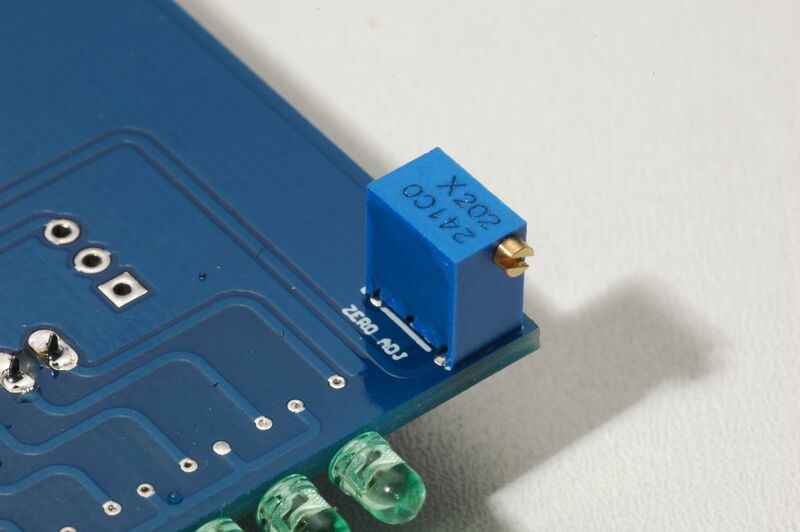 The majority of components on these PCBs have a 0.4 or 0.5" pitch - perfect for the smallest two whole sizes of the typical tool made for this purpose. Using a pair of pliers can deform the leads and isn't nearly as accurate. Pulling the leads through the board taut doesn't allow the thermal relief of a properly bent lead. Start with the components that lie lowest on the board first. Use the appropriate searchable PDF corresponding to your build to select your parts according to the legends marked on the PCB. The diodes are probably the lowest profile components and the only ones that have a 0.3" pitch that will have to be gently bent by hand with a pair of needle nose pliers. 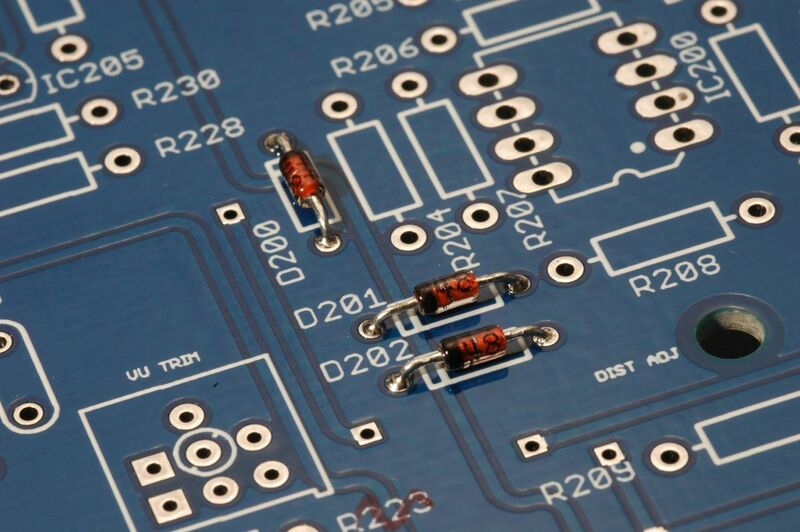 Hold the component near the PCB footprint to get a good sense of where the leads should be bent. Note that they have an orientation that must match with the band also drawn on the PCB. 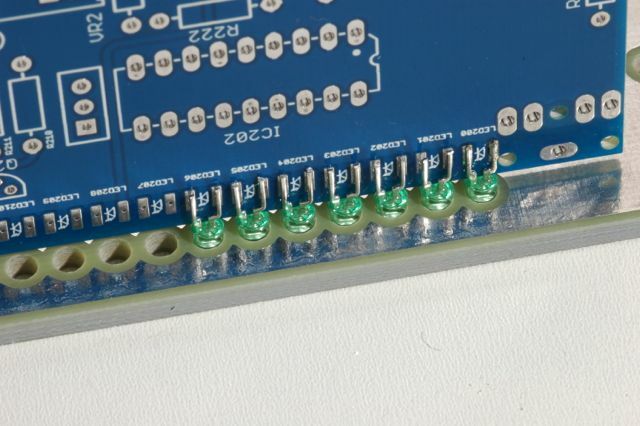 Once a component's leads have been pushed through the board and the component is flush with the top of the PCB, bend the leads slightly to hold them in place. ...then solder them ensuring that you create a nice, smooth fillet as shown. 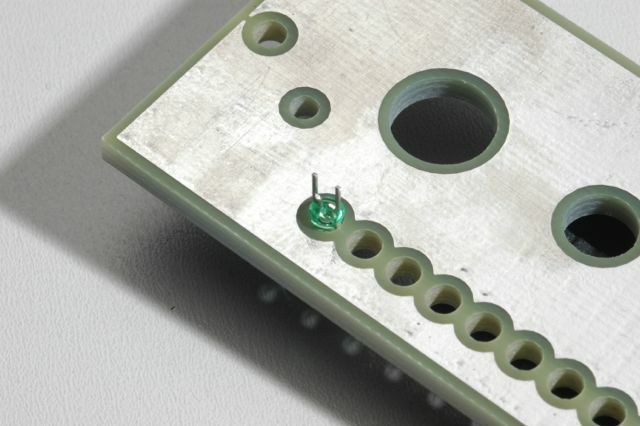 Cover the clipped end with solder as well to protect the exposed core from corrosion. Clipping them after soldering will sometimes expose a bright copper core that will be subject to oxidation. It is not necessary to solder the component from the top of the board as well. The plated-through holes of this PCB will ensure that you have a good electrical as well as mechanical bond. 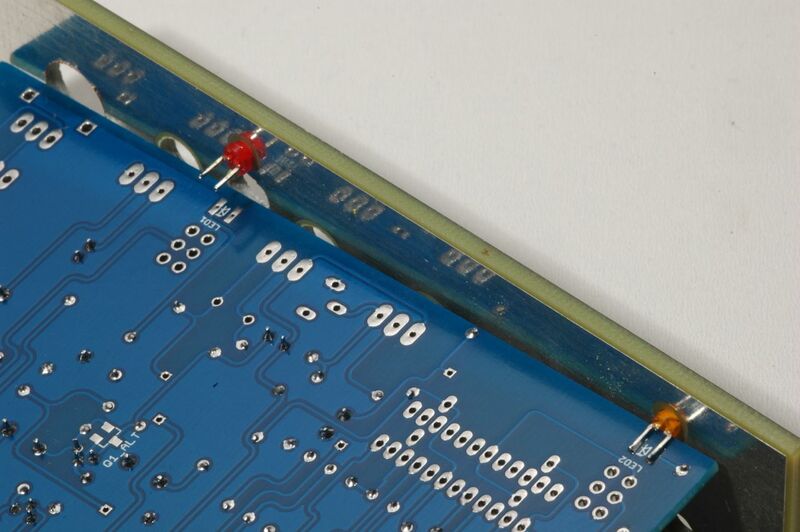 If you need proof, try removing a component after it has been soldered in place from one side on a double-sided plated through board such as this one! 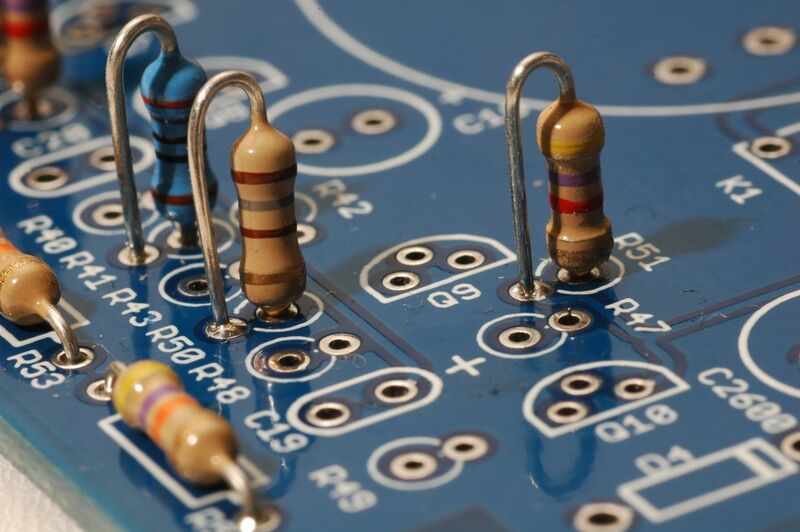 It isn't easy which is why you should test each component to the best of your ability before soldering it in place. Continue with the resistors, measuring them to confirm the value is correct before soldering them in place. It will make troubleshooting easier if you orient the resistors so the color code can be read in the same direction as the component legend on the PCB. Unlike the diodes, the orientation is otherwise not important. What is crucially important is that you put the right value in the right spot. Nothing should be construed by the use of carbon film resistors in this prototype build; you are free to use any type of component you wish as long as the value is correct and that it fits within the footprint of the PCB without interfering with other components. 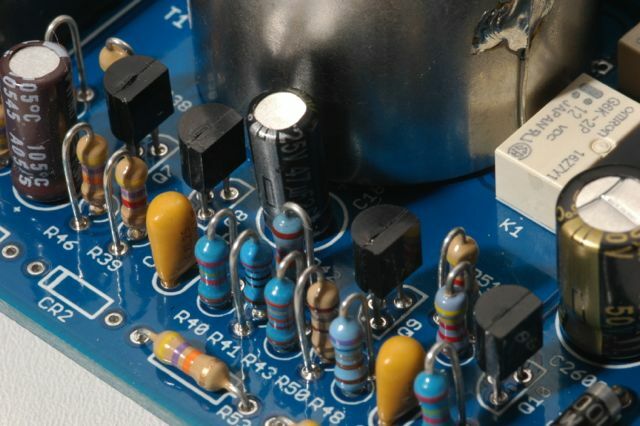 If you are going to build a stereo linked pair ensure that the ratio resistors in particular (along with the gain reduction FETs) are well-matched to the other unit's resistors. 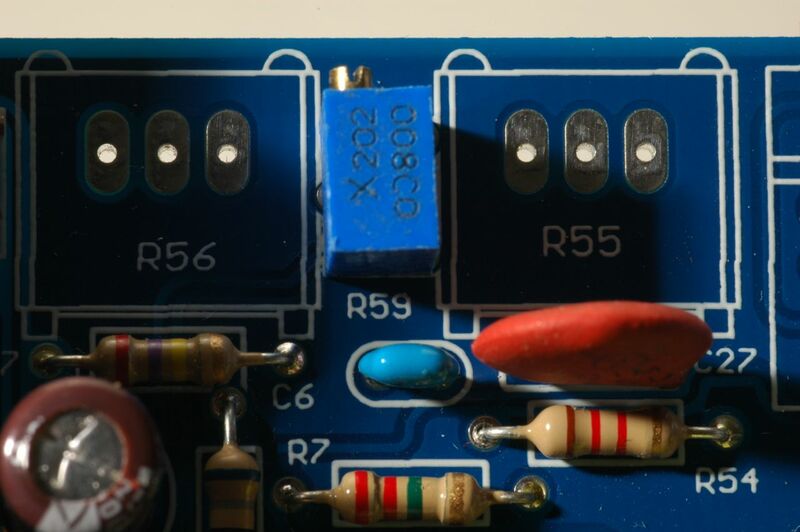 The electrolytic capacitors have an orientation marked by the + symbol on the PCB. The convention is that the longest leg of a new electrolytic capacitor is the positive lead. The negative lead on an electrolytic is marked on the side of the capacitor with a - symbol. When mounting the two power supply input bypass electrolytic capacitors make sure they are both oriented in the same way, that is with their positive leads toward the top of the board as shown. The printed positive legend for the lower capacitor is potentially ambiguous but refers only to the lower capacitor! They should both face the same way, not with the two positive leads facing each other. 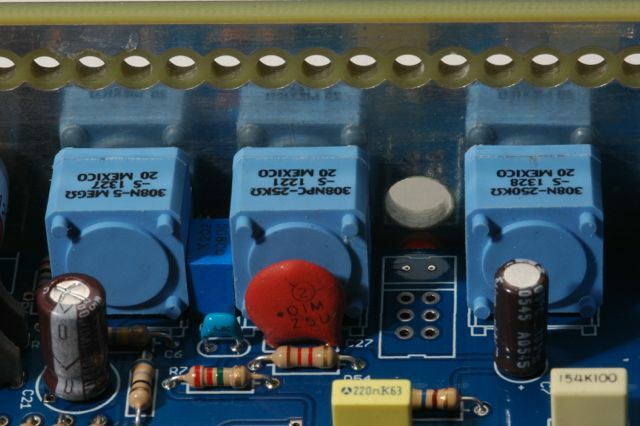 The bypass relays are mounted with their pin 1 sides facing each other. Make sure you closely observe the orientation or your bypass will refuse to work. 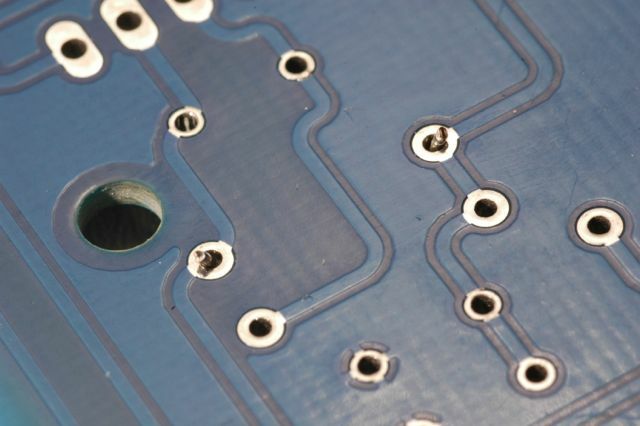 Dots on the PCB footprint mark pin 1. These symbols are one of the few that I did not design myself or the pin 1 marking would be clear even after the component was mounted, not underneath the component itself! 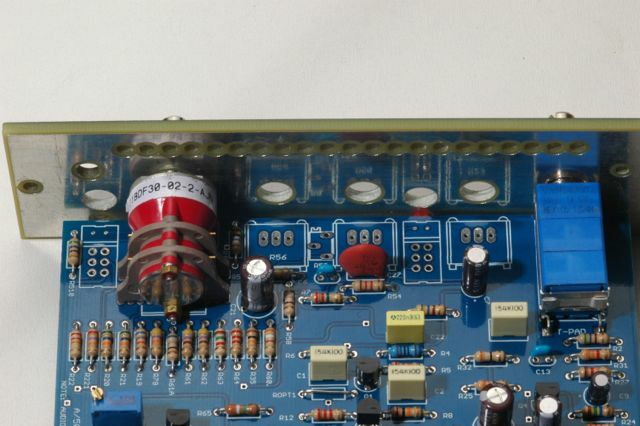 Many resistors in the Gain Reduction Control Amplifier stage are mounted vertically (except in the F/500 where space was not at such a premium). Bend one lead so that it loops around to form a J. Insert the body of the resistor into the circle of the PCB footprint. While the orientation is not crucial the resistors were layed out to prevent shorts between the exposed leads as much as possible. These mustard-colored tantalum capacitors are polarized but unlike aluminum electrolytics, tantalums are typically marked at the positive lead. All FET/500 revisions use the precision resistors of the later models that eliminate hand-selected values needed for the earlier designs. 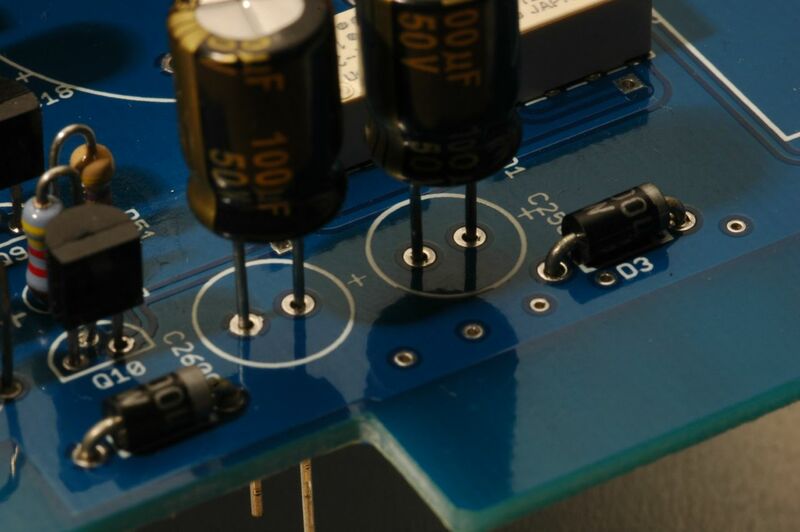 2N5088 transistors have been selected for their reliably high HFE. 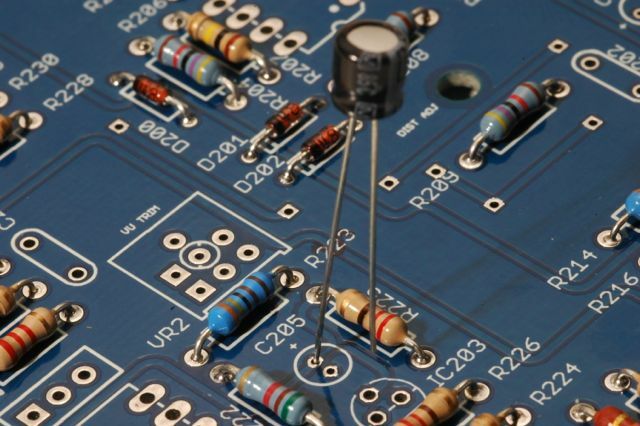 Do not substitute transistors without checking compatibility of pinout on the replacement transistor's data sheet! Before mounting the main board front panel controls, first mount LED2 on the bottom of the PCB as marked on the PCB legend (see Soldering the LEDs in the meter section below for more details). 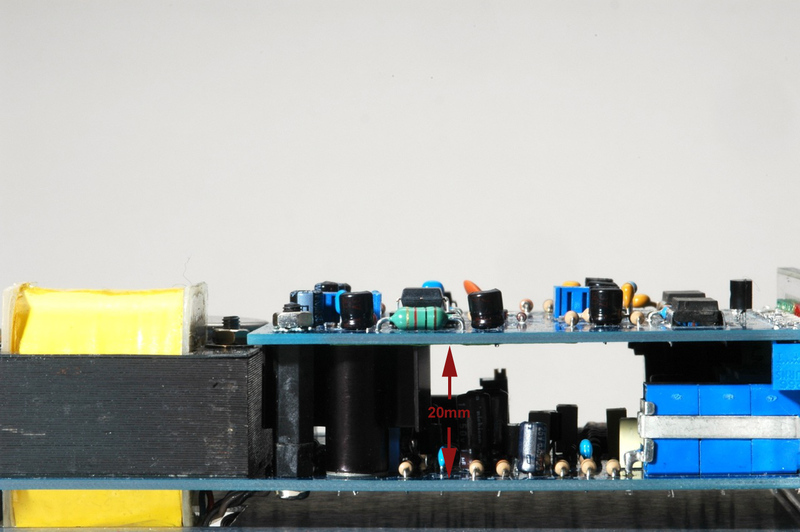 Do this as accurately as possible with the LED leads parallel and flush to the board and the colored body of the LED flush with the front edge of the PCB. Take care to note the Anode of the LED which is the longest lead (before it is clipped, of course). This lead will face the closest bottom edge of the PCB itself. ... and swing the other LED into place. Solder. Solder the T-pad and ratio switch in place using the front panel PCB as a jig to ensure their correct alignment. 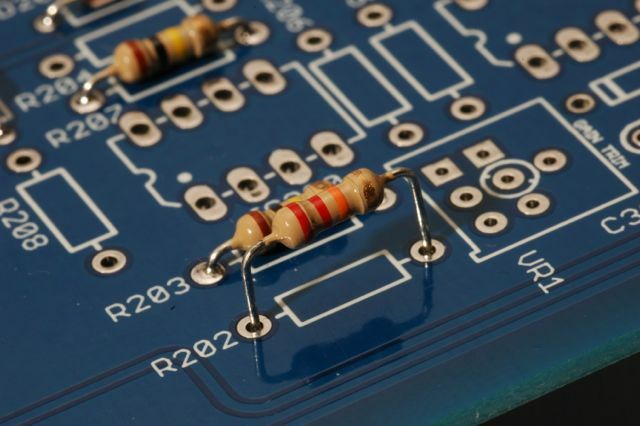 The ratio switch can be a little tricky to get in the right place so just solder two pins or so until the build progresses enough to where you are confident it is placed in exactly the right spot. It may help to add the push button switch at this point to aid in aligning the elements at the bottom of the front panel. 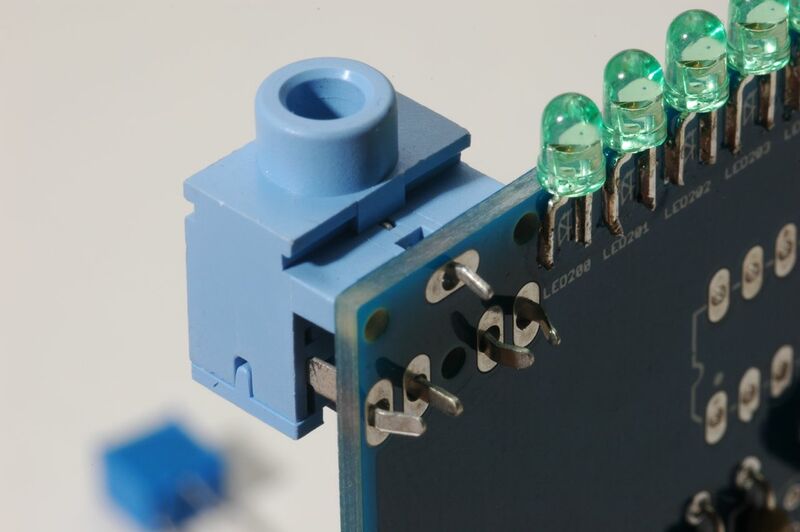 Remember that all front panel controls sit flush to the board - nothing is raised above the board on its pins or bracket legs which could compromise stability of that component. Mount the Q Bias trimmer before mounting the two potentiometers that surround it. Start by soldering just one pin until you fit the pots around it. The trimmer is a tight fit and will align itself once the two pots are soldered in place. Finish soldering the trimmer's other two pins. Using the front panel PCB as a jig, mount the potentiometers making sure they sit flush to the main PCB before soldering them in place. 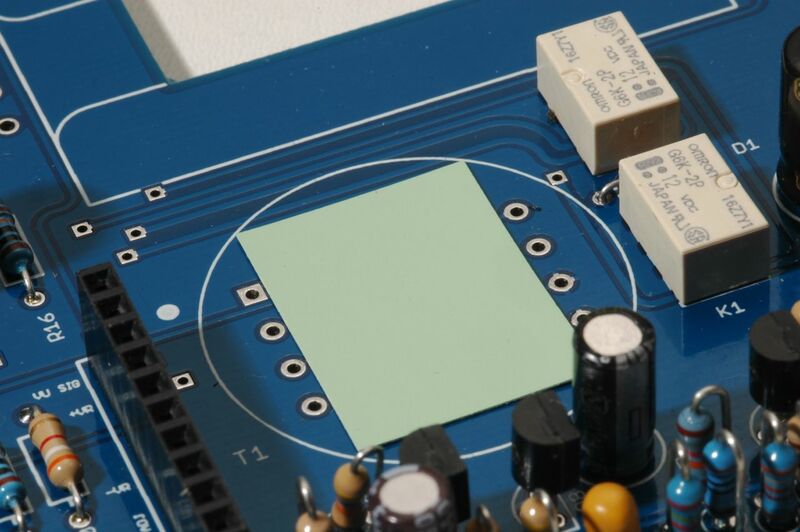 Depending on the heatsink you have selected, you may need to mount the TO-39 package transistor flush with the surface of the PCB in order to clear the meter board that will sit 20mm from the top surface of the main PCB. Check the clearance against the particular parts you have chosen. Note that the standoff used must be insulated as the heat sink sits very close to it and is at a +30V potential with respect to the ground plane of the main PCB. While there is adequate clearance near the screw head, accidents happen. Ensure that the input transformer does not sit tight to the PCB by adding a small piece of cardboard or, alternatively, some double stick foam tape. 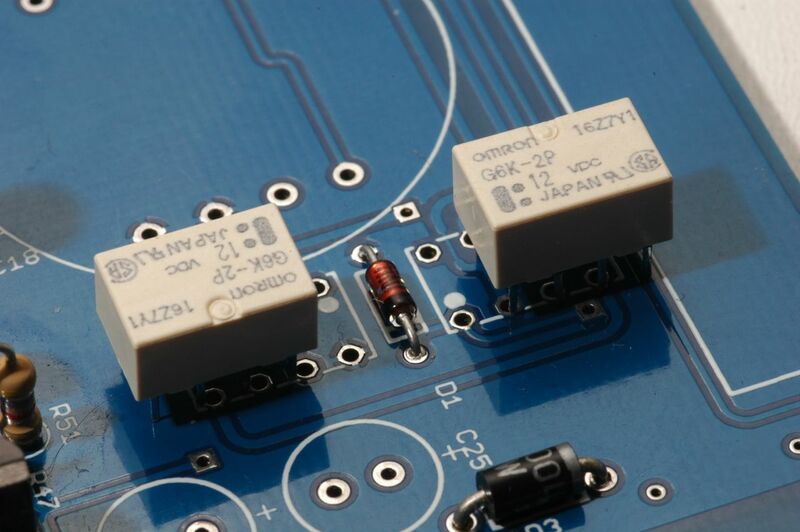 The square pad denotes pin one of the input transformer. The dot on the PCB is one more indication of where pin one goes. The only wiring in the entire build is to the output transformer. The output transformer leads are first passed through the rectangular hole in the PCB and the transformer is secured with 25mm or 1" screws. Follow the legends marked near each pad to match the output transformer's lead wire colors. Cut and strip the wires to size making sure you don't cut off too much wire! Thread them through and solder from the opposite side. 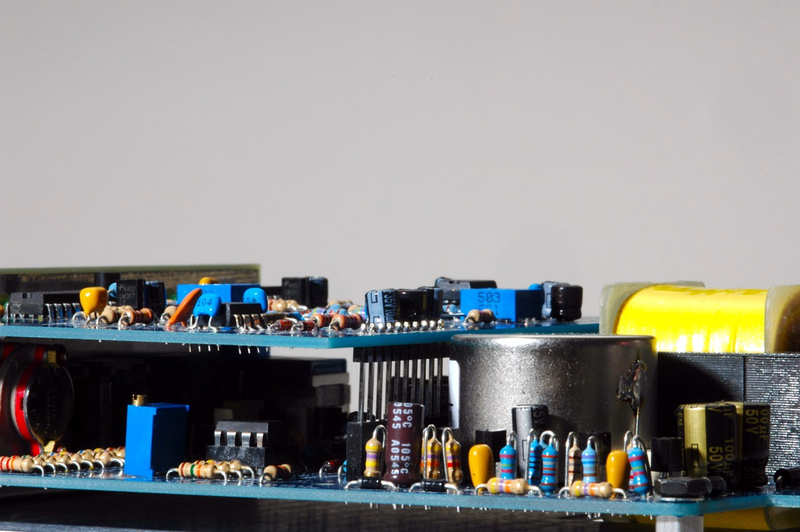 The photo shows a Cinemag CM96731 transformer that has been stripped of its metal frame and covers. 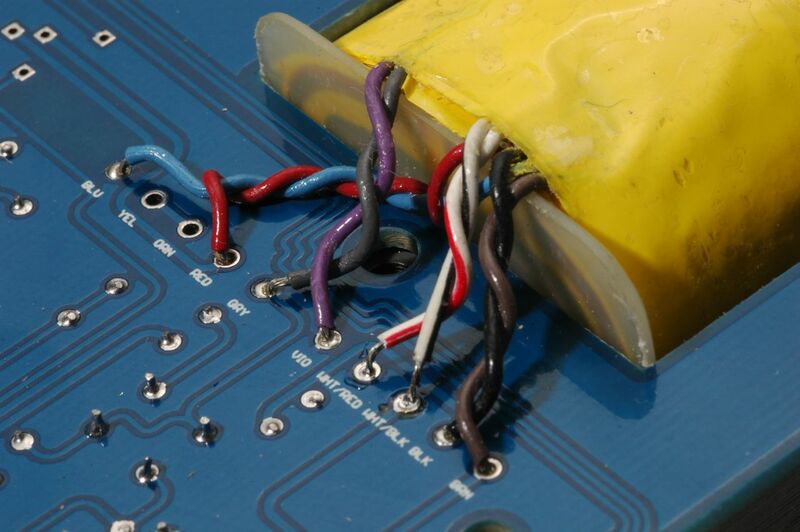 The Cinemag lacks yellow and orange wires that separate the two output windings in the original and EA-5002 reproduction. Due to the CM96731 construction where a shim pushes the bobbin to the leadout side, it may be unsuitable for this build from a dimensional standpoint. This was raised with Cinemag but no indication that the construction will be altered was given. Using a pair of flush cutters, clip the leads of the LED to size. Note that they have a polarity and the long lead is the Anode. On the meter board, mount the first LED as accurately as you can. 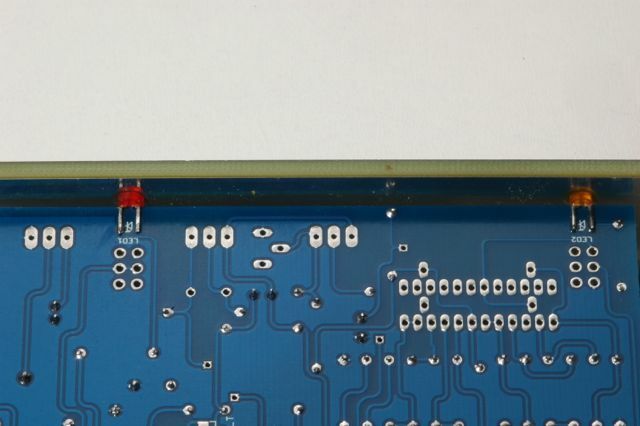 Note that the leads do not get bent but are soldered flush to the surface of the PCB. 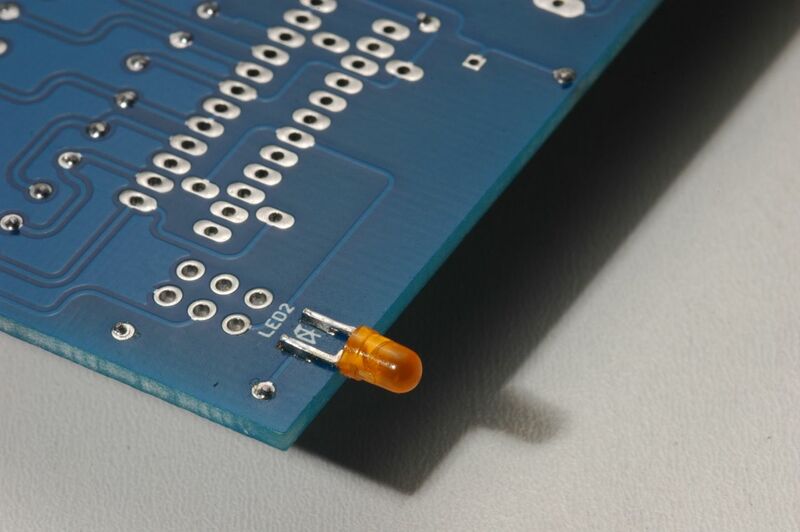 The LED body sits against the front edge of the board as shown. As indicated by the symbol on the board, the anode is closest to us in the picture. 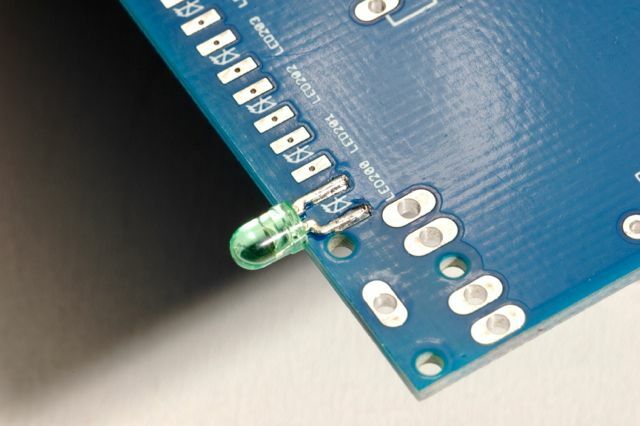 Clip the leads of another LED and place it in the front panel PCB. You'll be using the front panel as a jig to fit the rest of the LEDs accurately in place. That's why the alignment of the first LED is important. Make sure you have the anode oriented toward the bottom of the panel. Now place the front panel PCB so that the bottom LED passes through the bottom hole of the panel board. The top one will align to the correct position on the meter board. Solder it in place. Continue placing LEDs in the front panel board making sure you have the correct orientation. Solder them in place making sure the front panel PCB is held tightly to the meter PCB ensuring correct alignment. Continue until all LEDs are mounted. As described in the LM3916 datasheet, the leakage current of pin one is much greater than the other LED pins (150uA typical as opposed to 0.1uA from the other pins). Standard LEDs of the past would not illuminate even with this increase in current. 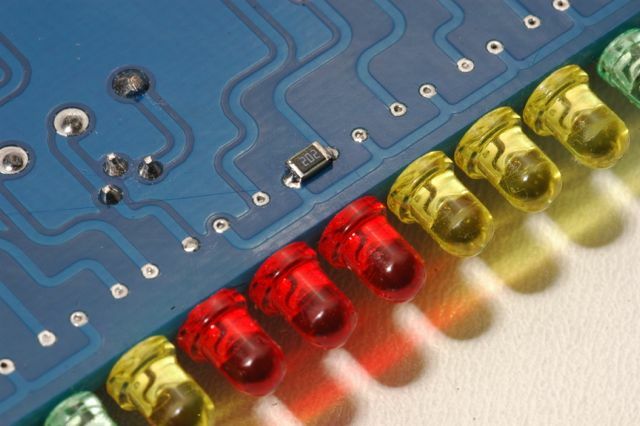 But many LEDs made now are much more efficient than in the past. It may be necessary to shunt the bottom-most LED to keep it from glowing when it is not meant to be active. 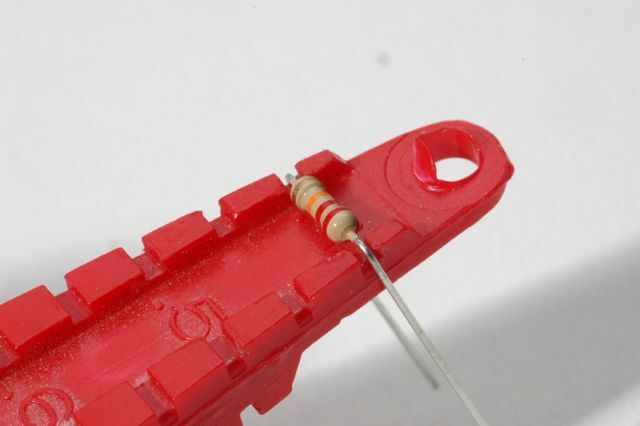 An 0805 (Imperial) SMD resistor works well. Start with a value of around 2k and adjust until the LED stays off. You could also tack leads from a potentiometer or trim pot to dial in the exact value so you won't need to guess. Because the efficiency of modern LEDs varies somewhat it isn't possible to give one value that suits all. 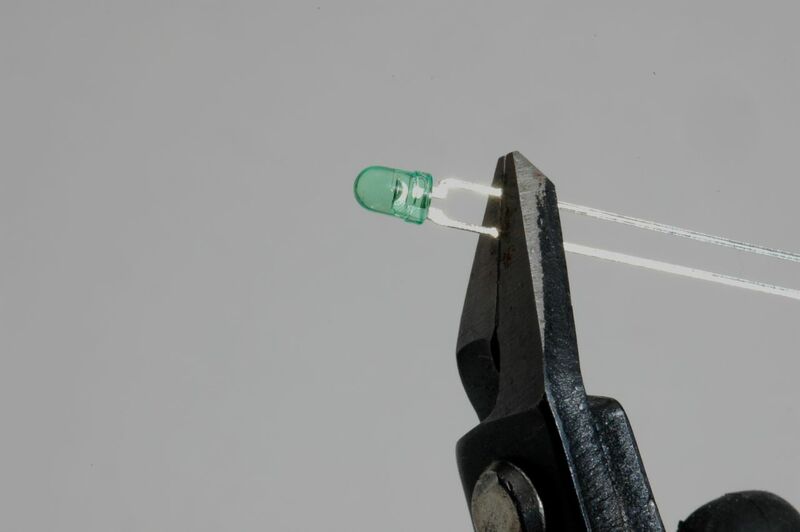 You may also want to shunt any resistor that illuminates too brightly. Yellow and red LEDs tend toward the blindingly bright which may not be a bad thing, but a shunt can tame any extreme variation in LED brightness. Don't use IC sockets for the meter board ICs. Not only are they one more source of potential failure, the additional height created by the sockets will raise them above the clearance allowed by the 500 rack. The next-door module might well scrape them off the board. The stereo jack and zero trimmer both mount on the bottom of the meter PCB. Component footprints are clearly marked on the bottom side of the meter PCB. 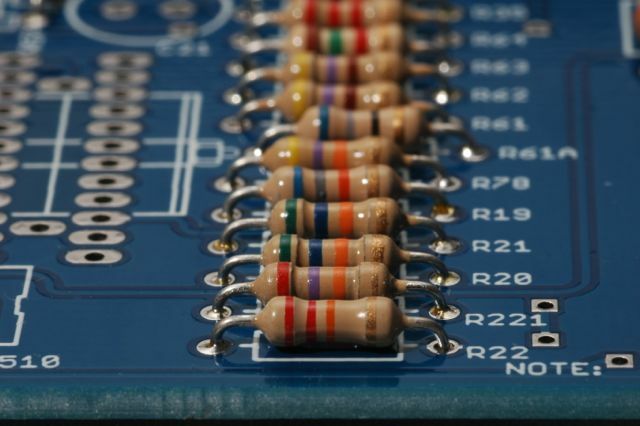 The main and meter boards are connected with pins on the meter pcb and a header on the main board. The pins mount on the bottom of the meter board while the header (connector) fits on the top side of the main board. 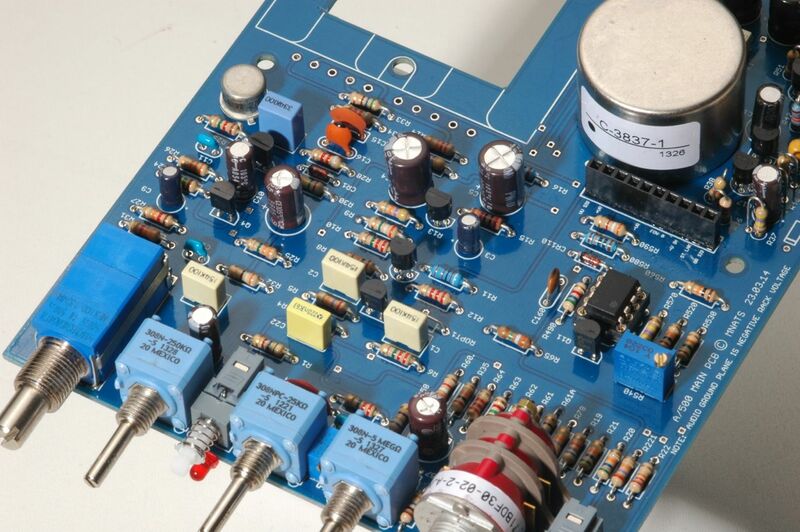 Hairball Audio offers PCBs, kits and custom parts for this project. 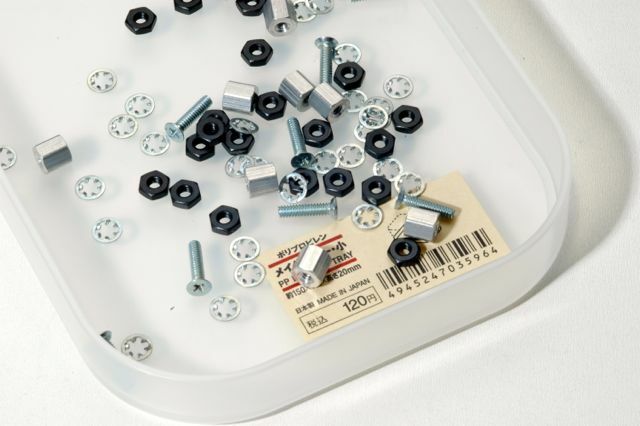 While not required, the brackets they provide complete the build and add mechanical stability while providing additional shielding. Here is an A/500 with a Hairball L bracket fitted. Because the FET/500 uses an LED-based meter rather than a mechanical one, calibration of the meter circuit is required. The rest of the calibrations are nearly identical to the rack mount version but with fewer complications since Gain Reduction and Output Level are displayed simultaneously. Start by feeding a 0dBm 1kHz sine wave to the input of the unit. Note that the input impedance of the circuit is nominally 600 ohms. 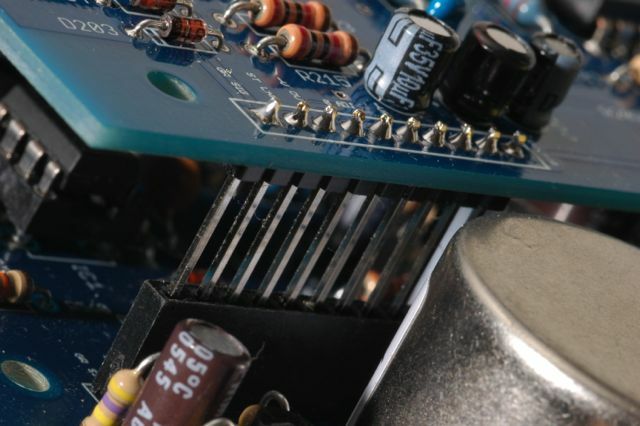 Particularly if you are driving it with the output of an audio interface rather than a proper signal generator you'll want to ensure that the measured RMS Voltage when connected to the limiter's input is 0.775 Volts Alternating Current. Use an external AC voltmeter such as an HP 400 series and adjust the input and output knobs to measure 4.88 Volts RMS or +16dBu at the output. If you use a digital multimeter instead of an AC voltmeter you'll need to confirm that it can accurately display the RMS voltage at 1kHz. However, a digital readout is considerably more difficult in use than an analog meter due to its refresh rate and lack of an intuitive linear needle movement. Now adjust VR1 'Gain Trim' so that the peak indicator LED just lights. Once adjusted you will not need to touch VR1 again. Next, readjust the input and output knobs to show 0.388 Volts RMS or -6dBu on the external voltmeter. Adjust VR2 'Sens Trim' to display -10 on the LED averaging meter display on the front panel. Remember that 0VU = +4dBu so -10VU = -6dBu. Note that all FET/500 revisions use an op amp based gain reduction metering circuit; there is no discrete meter circuit. Therefore there is no discrete meter circuit calibration required as there is for the rack mounted versions of the A and D.
To calibrate the Q Bias, use the trimmer that sits between the attack and release front panel controls while observing the LED output averaging meter display. Start by turning the trimmer counter-clockwise until a faint clicking is detected, indicating the trimmer has reached its end point. Turn the attack and release knobs fully clockwise which sets both at their minimum time constant. With the same 0dBm 1kHz sine wave applied to the input, adjust the input and output knobs to display 1 on the output LED display. Turn the Q Bias trimmer clockwise until the front panel LED meter reads 0, indicating a 1dB drop. Start again with the input knob turned up halfway and the same 0dBm one kilohertz tone applied to the input. Turn the attack and release knobs fully clockwise to minimize any latency between adjustment and its effect. Make sure the bypass is not active and the Gain Reduction Off button is pushed in. Turn the output knob until the "2" LED lights on the output level indicator. Activate the gain reduction by releasing the button and observe the drop in the output. -7 indicates a 9dB drop from positive 2. If it falls short of -7dB, turn the input knob up. If the meter drops below -7, turn the input knob down. Re-adjust the output knob to illuminate the "2" LED. Active the gain reduction. Repeat until the output LED shows a drop from 2 to -7dB when the Gain Reduction is activated. Once this drop has been established don't touch the input or output knobs again. Now we want the gain reduction meter to display the same 9dB total drop. Turn the gain reduction off by pushing in the GR OFF push button. Set the zero adjust trimmer until the gain reduction meter shows zero. Engage the gain reduction by releasing the GR OFF push button. Observe the drop on the gain reduction meter. If it drops below -9, turn the tracking adjustment trimmer counter-clockwise. If it falls short, turn the tracking adjustment clockwise. Turn the gain reduction off again and re-zero the GR meter with the zero adjust. Repeat these steps until the GR meter shows a drop from zero to minus nine when the gain reduction is engaged. For the D/500 and F/500, you'll need to adjust the signal preamp for linearity. This adjustment does not apply to the A/500. Connect the FET/500 to a computer that has audio measurement software installed. 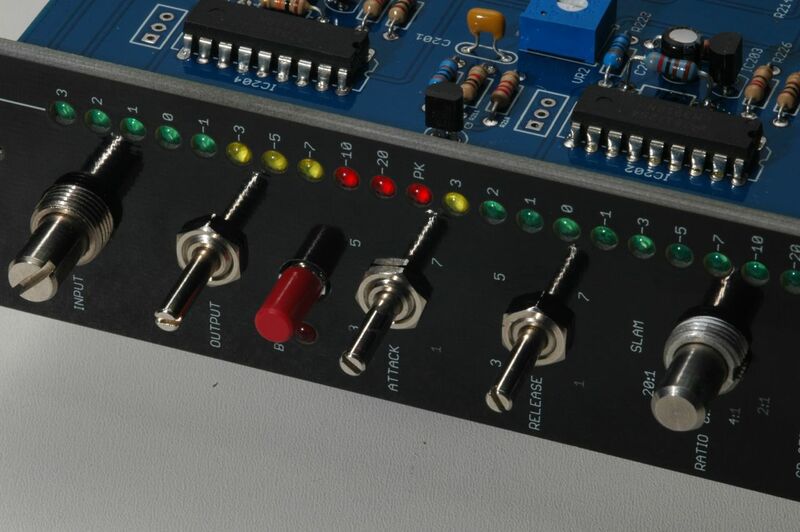 Connect the output of your audio interface to the input of the FET/500. Connect the output of the FET/500 to the input of your audio interface. Adjust the volume controls on all to maximize signal levels without clipping. Refer to your analyzer instructions for specific information. Set the software's spectrum analyzer to generate a 500 Hertz tone. Start the analyzer and observe the display. Note that the 500 Hertz tone is most prominent while there are harmonics at 1 kilohertz, 2 kilohertz and so on. Turn the distortion pot on the main PCB through the hole in the meter board until the harmonics are at their minimum. You'll reach a point where the distortion starts to rise again. Back off on the trimmer until the lowest distortion is achieved. Questions not answered on this page or in the documentation should be posted to the Official FET/500 Support Thread.